Based on a lecture from the London Review of Books lecture series. Noted classicist and essayist Beard looks deep into the past and hard at the present to examine the power of women—and more often, their powerlessness—in a world of impatient men. There are two things you need to know about it. The first is that what Mary Beard has to say is powerful: here are more than a few pretty useful stones for the slingshots some of us feel we must carry with us everywhere we go right now. The second is that most of its power, if not all, lies in its author’s absolute refusal to make anything seem too simple ... Beard knows that the matters with which she is concerned are extremely complicated. Before she arms you, then, she makes you think. In this sense, if no other, Women & Power deserves to take its place alongside Kate Millett’s Sexual Politics, the text that first suggested literature as a medium for consciousness-raising ... What I relish about Beard’s approach is that once she has told us all this – I am not a classicist, so some of it was new to me – she doesn’t simply sink down into disapproval and hand-wringing (the fatal flaw of so many recent feminist texts). She wants to know: how can we be heard? And her answers are radical. ...[a] sparkling and forceful manifesto ... 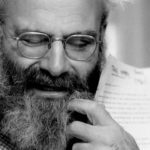 The book is a straight shot of adrenaline, animated less by lament than impatience and quick wit ... It’s a tonic to encounter a book that doesn’t just describe the scale of a problem but suggests remedies — and exciting ones at that ... Lest this seem hopelessly utopian, she points to those doing this very work, including the founders of Black Lives Matter: Alicia Garza, Patrisse Cullors and Opal Tometi. In promoting decentralized leadership and emphasizing the movement over personalities, these three women are recasting power, 'decoupling it from public prestige,' transforming it from a possession one can seize to an attribute that can be shared. In the two essays that make up her new book, Women & Power, she shows first, how women have been silenced in public life as far back as the Greeks and the Romans, and second, how ancient images of female monstrosity from Clytemnestra to Medusa have been endlessly recycled to undermine women’s access to political power ... Beard herself is a practiced speaker and writer, who deploys an accessible language with intelligence, wit and a disarmingly personal voice ... But for all of her learning, charm, and pluck, even she is at a loss when it comes to changing the status quo ... It’s fun to read this elegant, well-illustrated book. But no manifesto, or womanifesto, no individual woman’s success, no intellectual analysis, can change the male power structure. It has to be a collective action. 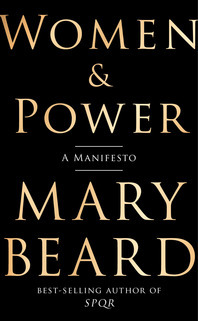 What did you think of Women & Power: A Manifesto?